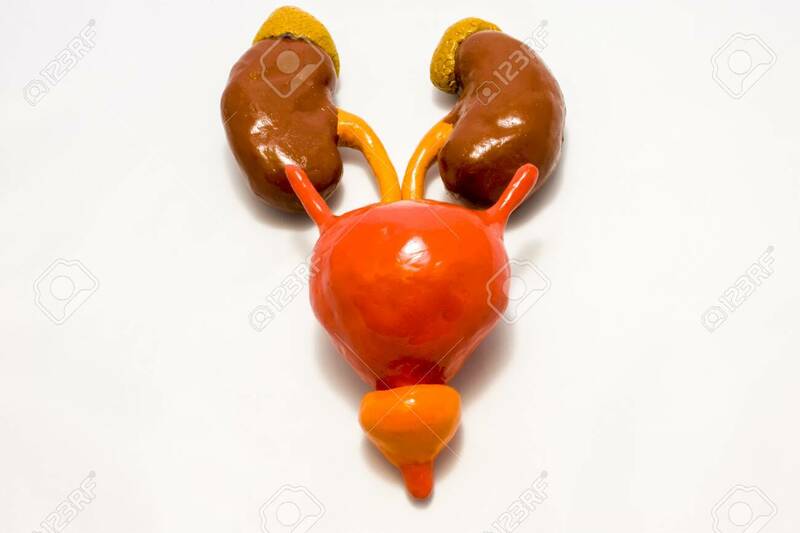 Kidneys, Ureters And Bladder Are Located One Above Other On White Background. Visualization Of Anatomy, Structure And Organs Of Upper Part Of Urinary System Using Volumetric Anatomical Models Royalty Free Stok Fotoğraf, Resimler, Görseller Ve Stok Fotoğrafçılık. Image 118411116.